The day we pause a few minutes to give thanks. The day we gather with family and friends, overindulging ourselves with all the turkey, stuffing, and pumpkin pie we can possibly eat. We give thanks. 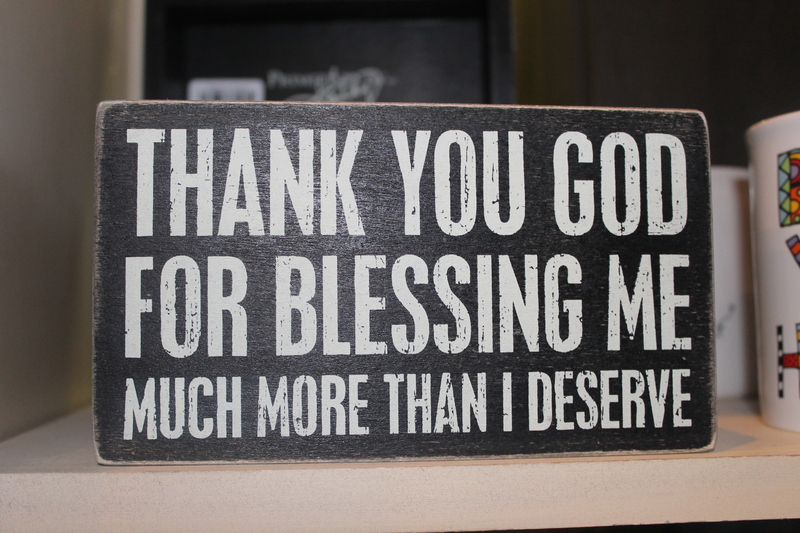 It’s a day of reflecting on the many blessings we’ve received and so often take for granted. We praise our Maker…the Giver of all that is good. We give thanks. The leftovers in our refrigerator and the piles of laundry overwhelm us. The dirty dishes piled up in our sinks and our unending to-do-lists steal our joy. All those amazing Black Friday sales breed a spirit of discontentment and envy. The demands of our jobs frustrate us again. Nagging, cranky children wear our patience down to a thread. Christmas plans and goals begin to transform us into driven people, focused on our missions. 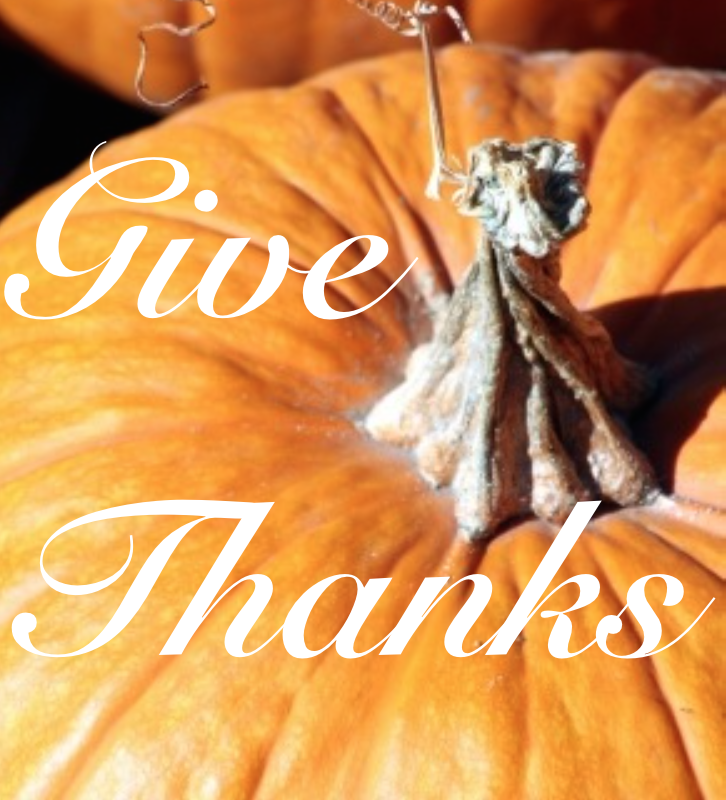 We cease to give thanks! Each of us do it at one time or another. We begin to complain. At church, we sing along with the lyrics, “Give thanks with a grateful heart…Give thanks to the Holy One…Give thanks because He’s given Jesus Christ, His Son…” However, so much of the time our hearts are anything BUT grateful. We know we seldom give thanks like we should. Believe me…I know! I find myself at that place far too often! Just last week, while we were out on tour, I had “one of those days.” You know…the kind where you just want to go back to bed again and stay there! The kind of day where NOTHING seems to go right. Our six and four-year-old girls had been sleeping in bed with my husband and I because the main heat in our motorhome wasn’t working and the temperature outside was in the twenties. Their floor bunk was frigid, in spite of the space heaters we had going. (which kept flipping breakers!) After being knocked in the head multiple times by little limbs all night, I woke up in the morning to discover the nasty headache I’d been struggling with had developed into a full-blown strep throat. Then we discovered our fridge was extra cold, and it had frozen most of the food I had bought for our trip! Groan. A few hours later, the roller of our biggest slide-out broke which cut our living quarters to half the size. We were feeling cramped. Now, do you know how little girls can begin acting when they are cooped up in tight spaces too long? Yep, the drama and emotions began to mount. Now this was just the beginning of our ten day tour…we were NOT off to a very good start! I began struggling with ungratefulness and my attitude was turning rather sour! My dear hubby gently reminded me that my perspective needed an adjustment. Ouch! I knew he was right. I realized that I had quit giving thanks. My focus was no longer on the blessings we were experiencing. I had a murmuring heart. Yep, I also struggle at times…just as I suspect you do. I began to practice what I tell our little girls to do when they complain. I ask them to tell me at least three things that they are thankful for, surrounding the circumstances they are complaining about. This always changes their perspective. And it did mine as well. During this Thanksgiving season, may we truly live as grateful children of God, instead of being a different person on Thanksgiving Day than we really are the rest of the year. Instead of going through the rituals of giving thanks, let’s be authentic Christians and begin LIVING thanks! Others observing our lives will be drawn to the God we serve when “Thanks-giving” becomes more than a religious holiday.